Crystalline gold from Australia is rare to find and a lot of the gold we see from Australia is weather worn placer gold. This crystalline gold is super pure and very clean. 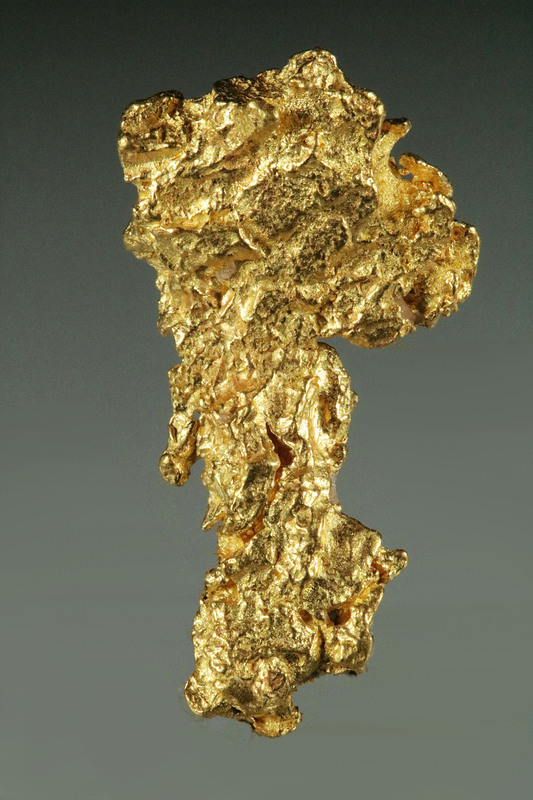 Gold found in the same gold field as this nugget were assayed at 97.6% pure, rare and pure for natural gold. 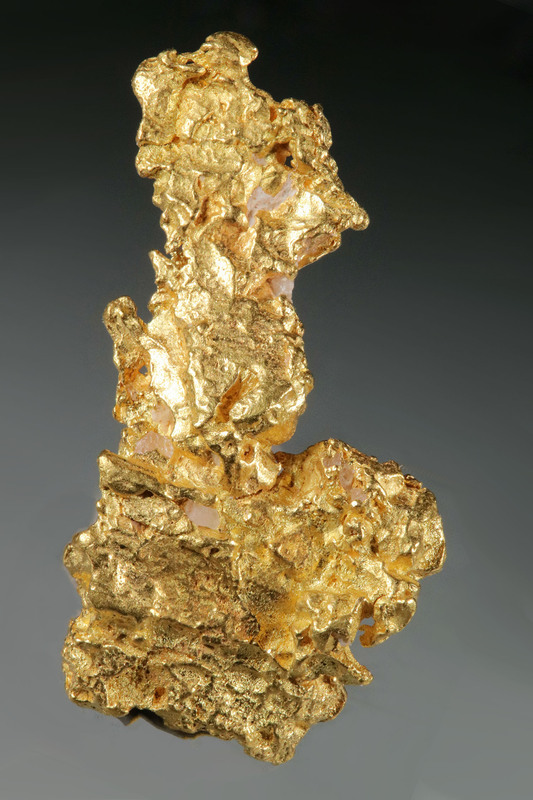 This incredible crystalline raw gold specimen weighs in at 4.1 Grams (63.4 Grains). It measures 7/8" (22 mm) long. Found by a prospector in the Palmer River Goldfield in Queensland, Australia - gorgeous color and texture. 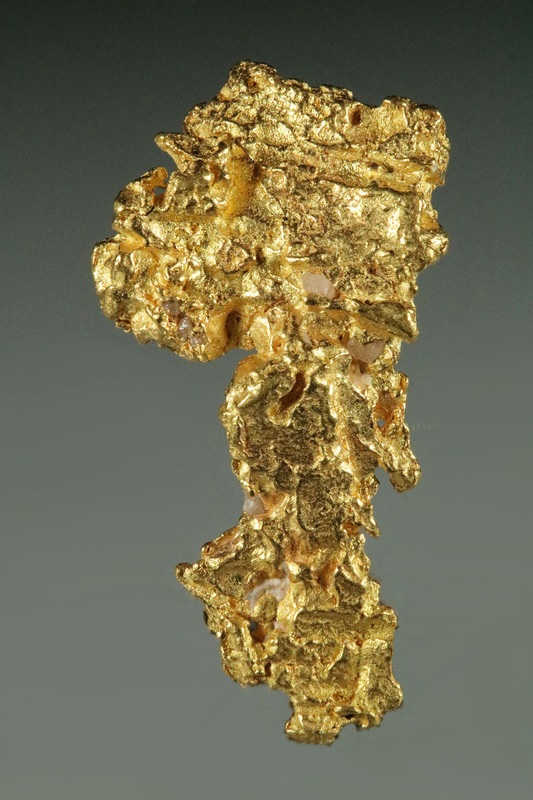 Like all our gold specimens and nuggets, it comes with our certificate of authenticity.